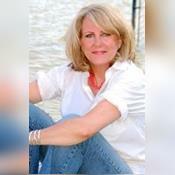 Smooth Waters is an experienced 5 Star Psychic and Advisor. Advice and Readings you can rely on! Call only if you seek the TRUTH! 5 Star ACCURACY world wide! Very clear, quick to answer questions at hand. Highly recommend. she is straightforward and good. I followed her advice and it worked. Thank you. Thanks for the reading. You picked up anther female around me and that there is no interest and that he even doesn't want to validate me and that I should move on. Contract may get ext but not great. Hope you are correct. For over 30 years, Smooth Waters has been helping people worldwide, gain perspective and understanding of their current life and love issues. She is "tool free", and her gifts are Channeled through Empathic Feelings and Clairvoyant Pictures and Symbols. Smooth Waters has been a user of Keen since 2010. Getting Life Questions advice from Smooth Waters through www.keen.com is safe, secure and confidential.